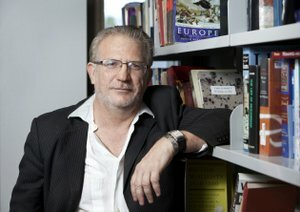 A political philosopher with more than 30 years’ experience has joined Charles Darwin University’s School of Creative Arts and Humanities as Chair of Politics. Originally from Mount Isa in western Queensland, Professor Wayne Cristaudo joins CDU from Hong Kong, where he was Division Head of West Studies at the University of Hong Kong for more than seven years. Professor Cristaudo has a keen interest in the role of history in today’s modern liberal arts, geopolitics and economics. “I am very interested in why people are the way they are, whether it is to do with religion, culture or modern technology,” he said. “I am also interested in how crises such as war or the Global Financial Crisis impacts this social fabric. An avid writer, Professor Cristaudo has written or edited more than a dozen books and numerous academic papers on subjects ranging from the powers of love and evil, the Western literary tradition, the evolution of the modern liberal democratic state, to the religious roots of the West. He is also a singer / songwriter and has self-released two albums. “Each book is a response to a fundamental human problem,” he said. Professor Cristaudo is also interested in the impact of modernity on people whose historical, social and spiritual roots, such as Indigenous peoples in Australia or Muslim peoples, differ sharply from those that shaped the modern Western world. “Nationalism and the administrative systems and processes put in place over history as part of European culture have evolved and impacted on the more fragile cultures throughout civilisation,” he said. Professor Cristaudo’s current research interests are European philosophy, intellectual history, and theo-politics. As Chair of Politics at CDU, Professor Cristaudo will also teach International Politics.